Chocolate brown 3 piece leather manual recliner sofa. 5 years old. 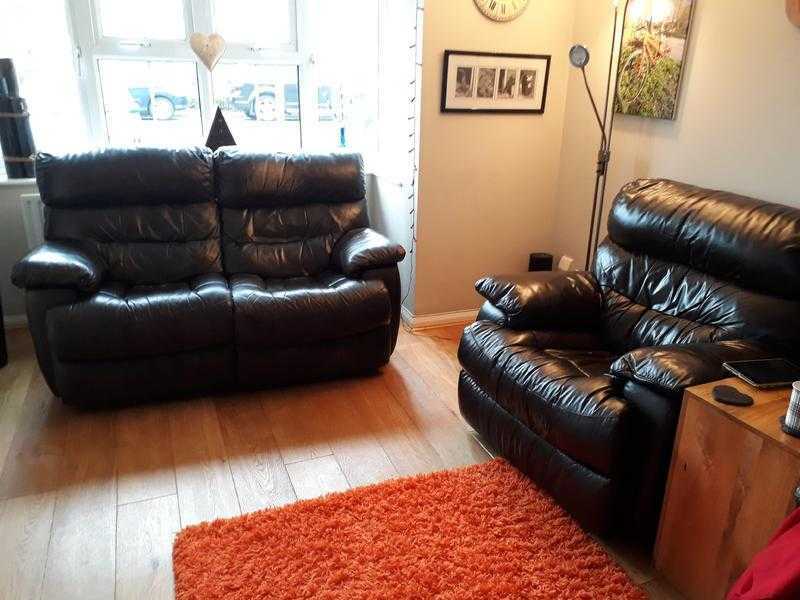 Excellent condition although recliner mechanism is not working on left hand chair of two seater.